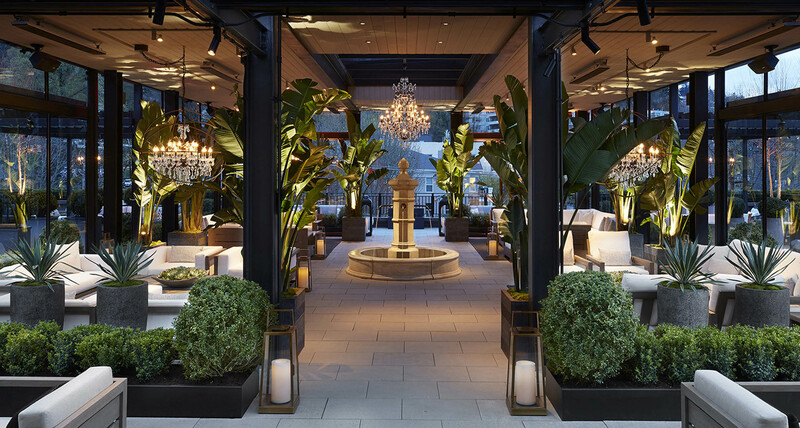 Restoration Hardware is not just known for their high-end products, but for their opulent retail experiences. 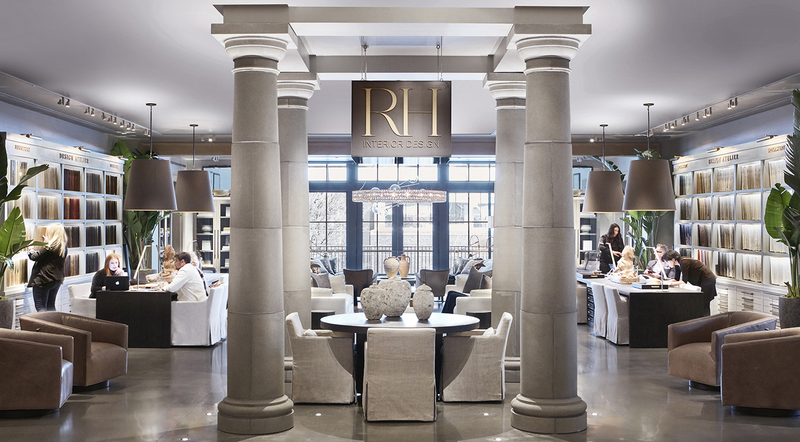 Referred to as “galleries,” RH stores focus on providing a curated series of customer encounters. 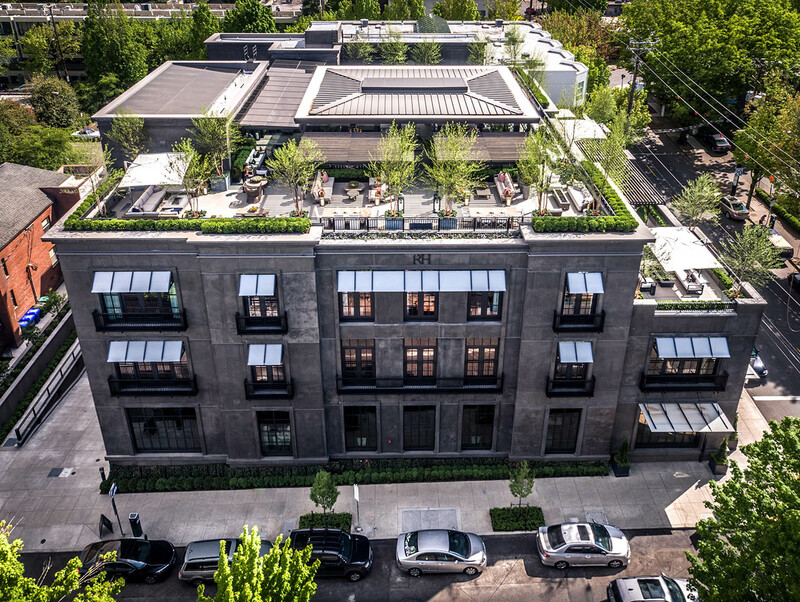 Bremik partnered with Restoration Hardware and Ankrom Moisan Architects to provide an intricately detailed, striking addition to Portland’s historic Alphabet District. 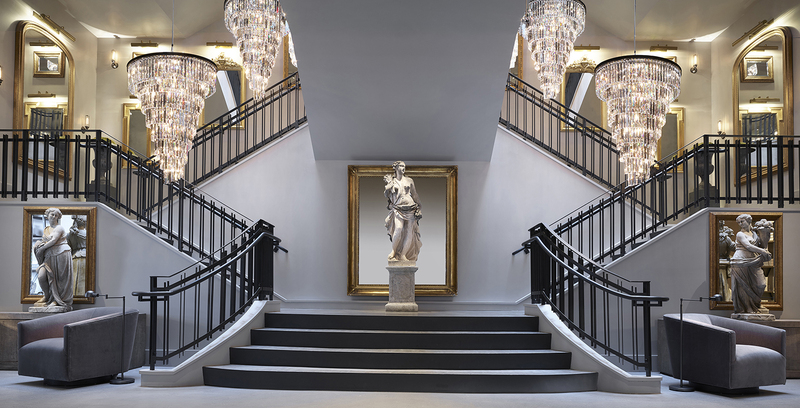 A large glass and steel entryway welcomes visitors into a palatial lobby, featuring 13-ft. ceilings, Tuscan colonnades, and a cascade of crystal Helix Chandeliers. The second and third levels feature workshop and showroom studio space, totaling more than 10,000 sf. 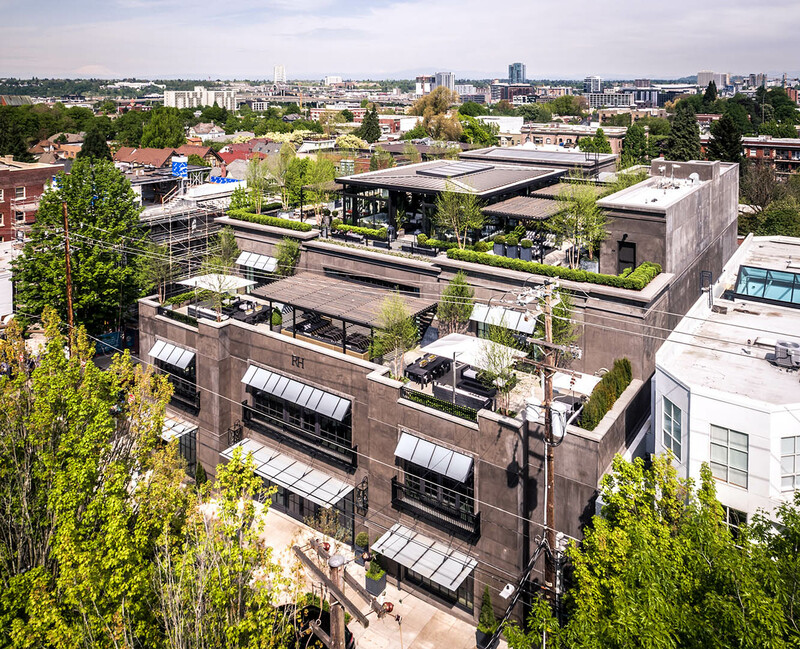 Crowning the building is a 6,000 sf rooftop park, complete with panoramic views of the West Hills and downtown Portland. A stone fountain sits in the middle of the urban park’s steel and glass pavilion, surrounded by lush foliage. Bremik self-performed all of the structural concrete for the 46,000 sf, four-story building. A grand, steel staircase winds up through each floor, culminating in an expansive skylight supported by the same custom steelwork. Each piece of the railing was precisely cut and shaped off site to provide a seamless appearance, requiring consistent collaboration between Bremik, the steelmaker, and the designers. Building Information Modeling (BIM) was completed for electrical, mechanical, fire protection, and plumbing work. 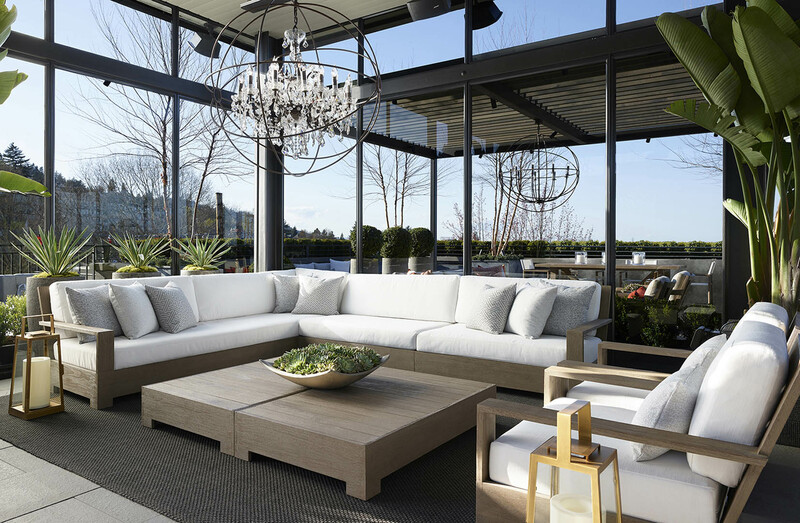 This real-time modeling allowed our team to adhere to a rigorous schedule and to successfully deliver the refined retail experience Restoration Hardware is known for. Click here to watch a video of the construction progress.